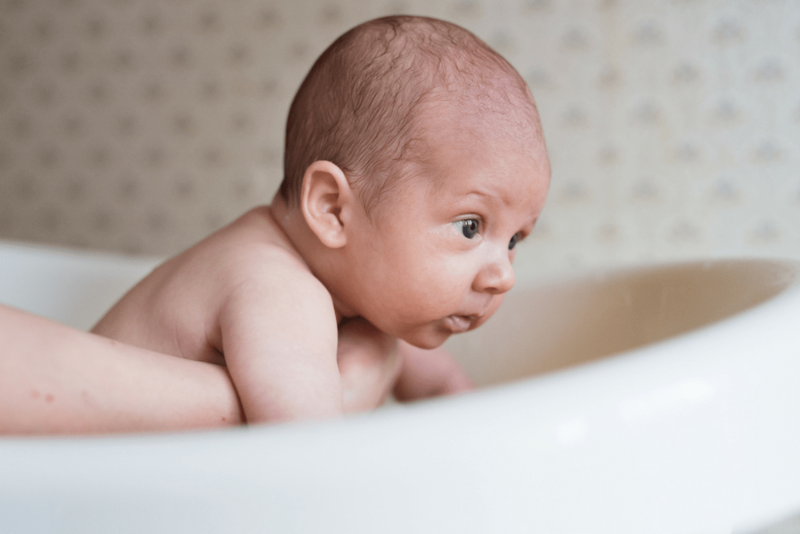 Bathing a newborn is one of the most frightening things you’ll first do with your baby, aside from driving home with them in the car is to bathe them. There is nothing quite like a squirmy, floppy baby to make you suddenly fearful when trying to give them their first bath. This post may contain affiliate links. This means that if you make a purchase through these links, we may make a small commision at no cost to you. Thank you. You can find our full disclosure here. Infants don’t need to take a full submersion bath. Instead, just wash off the smelly parts and truly dirty parts about three times a week. You can also skip the soap for the most part. Baby’s skin is sensitive and delicate. Soap can irritate their skin and could contain possibly harmful chemicals or toxins. Instead, opt for a more natural soap and use it when they really need. Like after a giant diaper blow out that covers them from head to toe. If you are worried about your baby’s temperature dropping too fast can you can give them separate partial baths. You can wash the bottom half, dress the baby on the bottom, and then wash the top half. A sponge bath is about all your new baby needs or should have. You have special concerns such as circumcisions as well as umbilical care to consider. Sponge baths work very well. Just a wet cloth or sponge, wash, rinse, dry well, and you’re done. Most children and babies actually enjoy this process if you keep it nice and warm and toasty. Life as a newborn can be tough emotionally. Your baby is brand new in this world. They just spent several months in a calm warm bath of sorts in your womb. 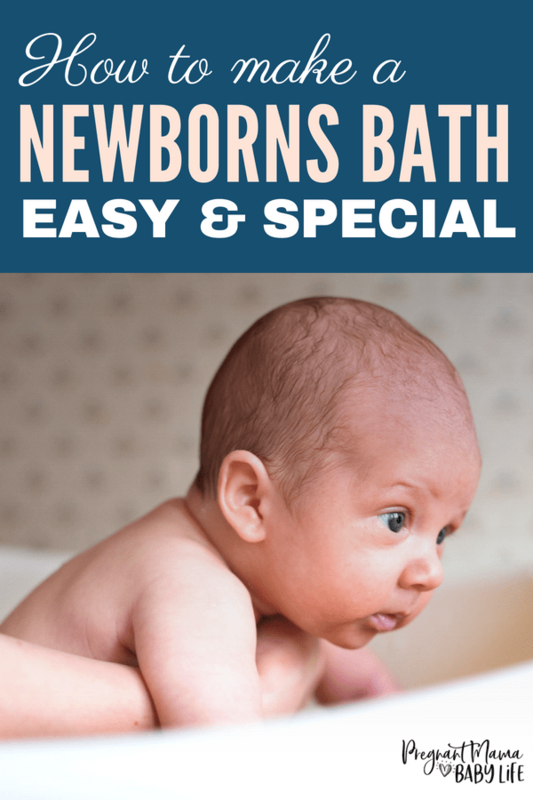 A calming bath could be a very enjoyable experience for your baby as they adjust to this new life. I love watching these babies bathe. They look like they are truly enjoying every moment. An herbal baby bath can be soothing and even help your baby sleep better. To create an easy instant herbal bath, you can use chamomile and lavender tea bags. These herbs are known to calm the nerves and promote a relaxing response in the body. Plus they smell amazing. I like to brew a cup of chamomile tea for me after dinner and toss the used bag in my baby’s bath. While you don’t necessarily have to have these tools they come in handy and help make bath time easier. 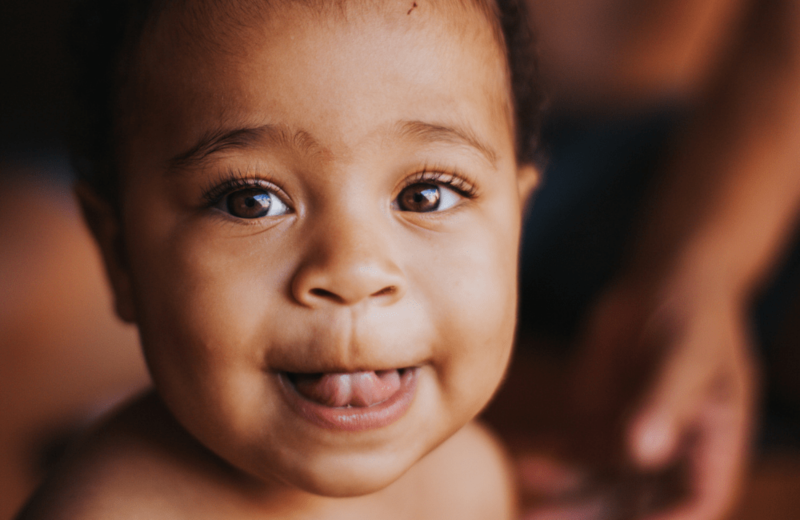 Tools such as a water thermometer, a bathing cap to protect your babies face and eyes, an infant tub, soft washcloths, gentle baby soap and nice terry cloth towels are good items to start with. This is the cardinal baby safety tip for bath time. It should go without saying, but I’m gonna say it. 110 children (ages 5 and under) die from drowning in tubs each year. DO NOT leave your baby in the tub or near any body of water for even one second. Even if you are using one of the child safety tubs, it’s just not worth it. 90 degrees Fahrenheit is the highest you should go for a baby. You can ensure that you don’t go over it by using a water thermometer. For infants you just want the water to feel lukewarm, which feels like neither hot nor cold to your touch. If your testing the water by touch, use the skin of your inner wrist to check how it feels, as this skin is more sensitive and will help you judge the water temperature better. 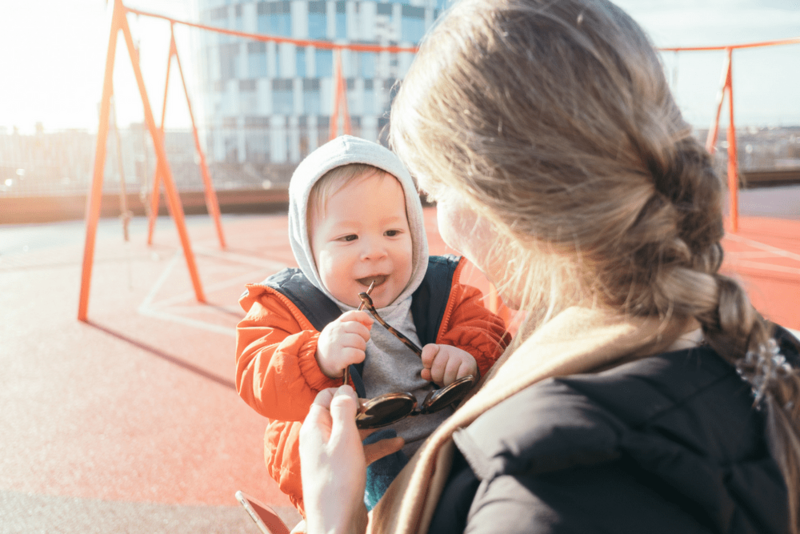 As a general precaution, it’s usually recommended to set your household water heater to lower than 120 degrees Fahrenheit while your children are young to avoid scalding. For infants, it can be easier to bring baby into the tub with you and your husband. If nothing else, have your husband in the bathroom with you so that after you wash off the baby you can hand her off to daddy to dry and dress as you finish up your bath. This type of family participation makes bath time a wonderful bonding time. The soap you use for yourself is not likely the right soap for your baby. A lot of baby soaps on the market also contain potentially harmful ingredients. You may have to try a few kinds to figure out what works well, but even plain water is good to use to wash your baby. Some moms swear by Bronner’s Baby Mild Liquid Soap. A little goes a long way. If your looking for something scented Everyone Baby Soap is a great option and is EWG verified. If you want to avoid soap altogether, you can use coconut oil to take care of your babies skin. It has gentle natural cleansing properties in it. It even makes a fantastic natural cradle cap remedy. It’s important to remember that a baby has special considerations during a bath. Don’t press on the baby’s soft spot, or let soap get into their eyes or ears. Never put a Q-tip in the baby’s ears. You can use a Q-tip to wash, if your pediatrician advises your baby’s umbilical cord. Be careful with your baby’s private areas too. Just rinse with water, and follow instructions for caring for your son’s circumcision if he had one. One of the most important things to do when washing your baby is to remember to rinse the soap off, and then dry all the areas well. 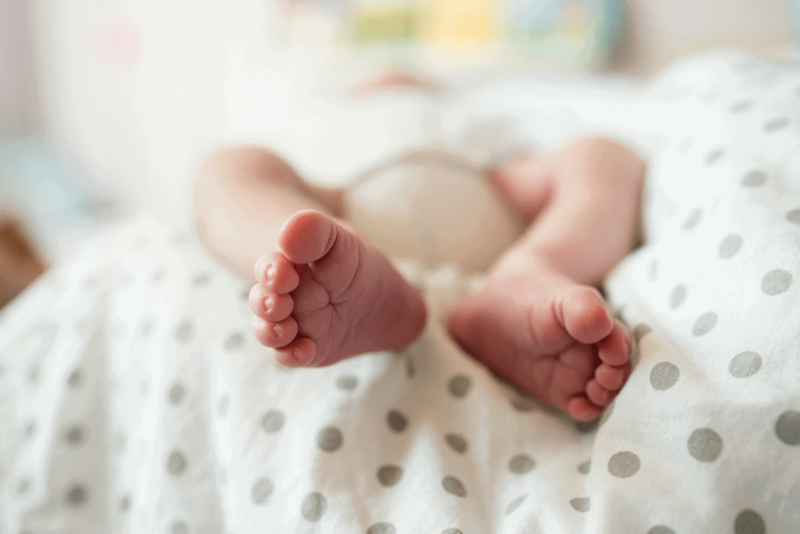 A baby has a lot of fat and creases in their little legs and arms; ensure that these areas are patted dry carefully. Don’t rub hard, just pat carefully until dry. At first, it will feel as if you’re trying to wash a floppy fish. But, as your child grows it’ll get easier. The important thing is to get off most of the smelly stuff, and to avoid infections, as well as to bond with your child. Make bath time special and you’ll succeed.